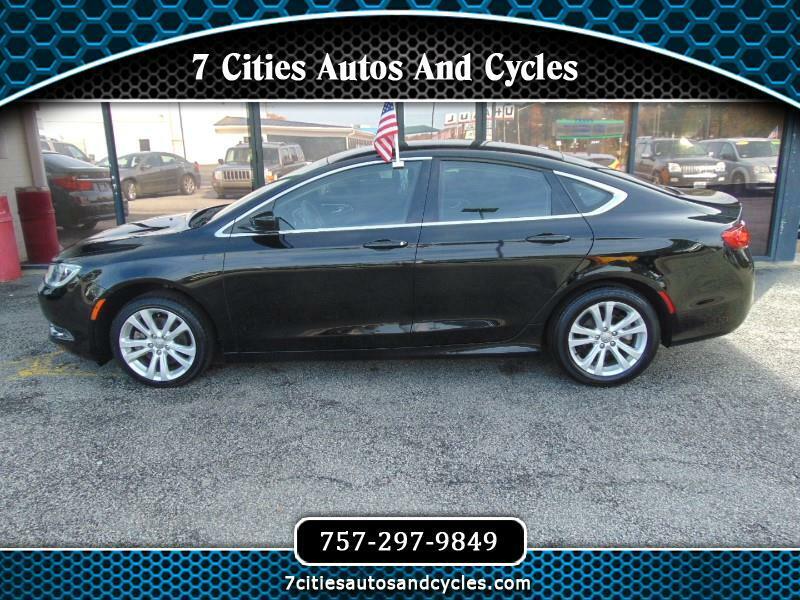 ****CARFAX 1-OWNER****2015 CHRYSLER 200 LIMITED - Black with Black Cloth - Awarded a 9.7 out of 10 Safety Rating from U.S.News, the Chrysler 200 also received a 9.2 out of 10 Total Cost of Ownership Rating. U.S.News gave positive points for premium interior quality and a great infotainment system. The Chrysler 200 earned five out of five stars from the National Highway Traffic Safety Administration (NHTSA) in all tests except the rollover crash test, where it earned four stars. The Insurance Institute for Highway Safety (IIHS) named the 200 a 2015 Top Safety Pick , earning the highest rating of Good in all five crash test categories. CERTIFIED USED VEHICLE! 90 DAY WARRANTY INCLUDED w/PURCHASE!